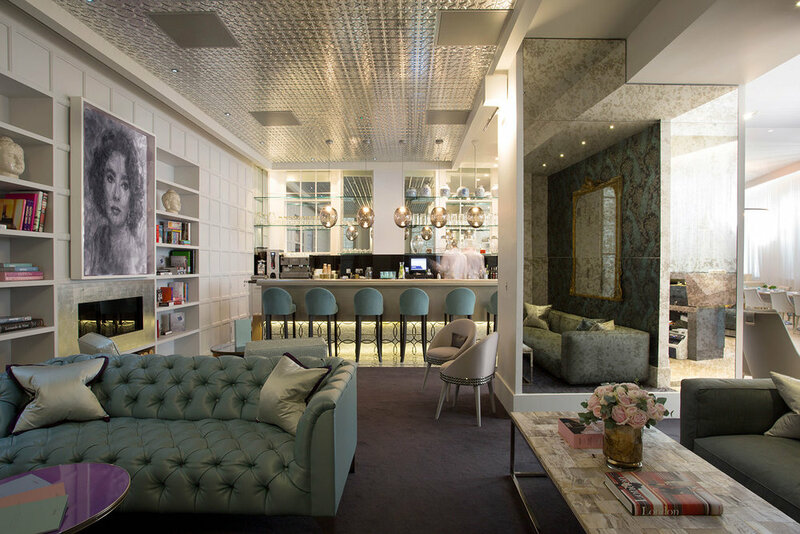 Set in the heart of London, in a Regency terrace, Grace Belgravia is a women-only private health club, bar and spa. We were responsible for furniture, loose fittings and decorative items, to help create the sanctuary environment that the client envisaged. The client wanted to create a venue that would provide a sanctuary to a diverse array of women, from entrepreneurs looking for a space to host clients, to international members needing temporary respite from travelling, or mothers juggling their fitness and wellbeing around a busy family life. The club needed to be calming, welcoming and above all be a place where members could relax in a ‘home from home’ atmosphere. Our design reflected the feminine and relaxed properties of the brand. 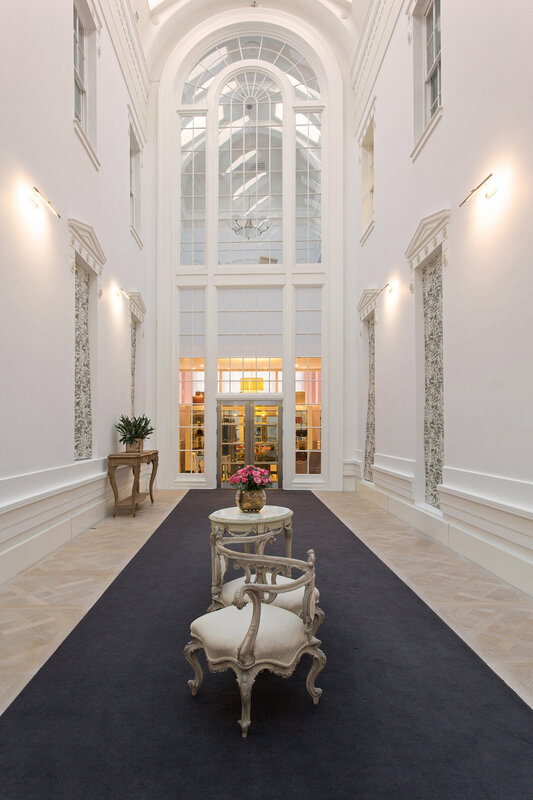 We needed to convey wellbeing and serenity in contrast to the bustle of London outside the front entrance. We used a calming palette with subtle diffused lighting (all windows had to be covered to ensure privacy) and different complementary textures to give a homely feel.